Beware of scams! As if understanding and managing a credit score isn’t hard enough, scammers are making it even harder! It’s important to know that everyone is entitled to one free credit report each year through a government required program called www.annualcreditreport.com. A report will be issued but the user may have to pay extra to see their actual credit score. There are several other reliable websites that offer free reports as well. These include CreditKarma.com, CreditSesame.com, and Mint.com (Mint also has a budgeting and credit score app for the phone or tablet). The problem with signing up on these sites is not the company itself, but the possible phishing scams that someone’s interest in the site might attract. For instance, if someone is getting an email saying their score has changed and they say to click the link in the email, don’t do it! Even if it seems to be true, go to the website of the company that the user has signed up for and contact them directly. Check the domain name on any email received. Make sure the email is from the company the user has done business with. Never give out credit card information to people who attempt to make contact through email or phone. Don’t click on any attachments or links in an email. Go directly to the site they claim to be (or that the user may know). Don’t enter personal information if the site isn’t secure. Look for web addresses starting with ‘https’ or ‘shttp’. 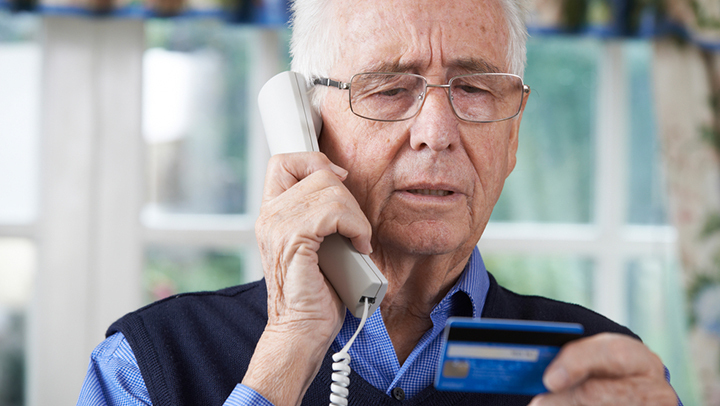 Keep an eye out for these scams and others alike. It’s okay to share personal information over the internet, just make sure to share it with the right people.